With strong, project-based collaboration being essential enterprises have used whatever tools they could find. We’ve found enterprises using everything from product lifecycle management to project management tools to excel sheets to a combination of these to develop products faster. And yet many enterprises struggle to optimize product development. With finance, marketing, production, distribution, vendor management and more contributing a certain amount of confusion is par for the course. Or is it? 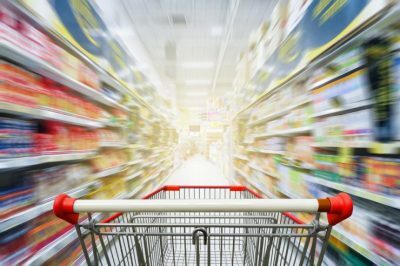 With product development so critical to FMCG / CPG companies most if not all companies have mapped out the steps that a new product goes through in going from an idea or concept to an SKU ready for distribution. The challenge lies in the fact that these workflows are owned, designed and customized on an ongoing basis and in silos. There is a vast amount of knowledge about products, distributors, pricing data and more that lies in documents in this or that manager’s inbox or in this or that director’s head. These leaders are then responsible for informing and educating contributors to their projects. Project management professionals make the most of what they can gather of past data and the collective expertise of their teams to forecast, then run around gathering progress. In the meantime, individual contributors need to be trained and educated on processes to be followed, often abandoned when deadlines loom. Project leaders are usually more than capable of taking great decisions on the go. But great decisions need good information on progress which is often at a premium. The result? Avoidable mistakes and delays that eat into revenue and profits. It is hard enough to get your product mix right and then beat the competition without having to beat yourself. What also gets lost in all the talk about numbers is the stress teams and leaders deal with in launching new products. Today a small investment in process mapping can go a very, very long way in driving revenue, profitability and quality of life. A platform like Zvolv allows you to turn a process into an app in no time. The first big impact this has is everyone is in the loop real time. If you’ve felt that sinking feeling when just when you thought you were on time and within budget, a major issue is discovered you wouldn’t be alone. Did you only see that mail the next day? Did you have to cancel a leave so that you could guide your team in real time? That is no longer necessary. A platform like Zvolv allows you to create a data structure that keeps information in the form of documents and data points neatly organized and accessible at a click. This data structure, in turn, unleashes analytics and AI that keep you and your leadership in touch with the big picture. With mobile tech, you and your team can work on the go. How many years do you think this might add to your life? Do let us know. I’m not 100 convinced about this post. Your ideas are spot on, but unfortunately, it’s dangerous to rely upon what others might think. Please clarify some things, because I think you are a very eloquent blogger and I would like to learn more from you!